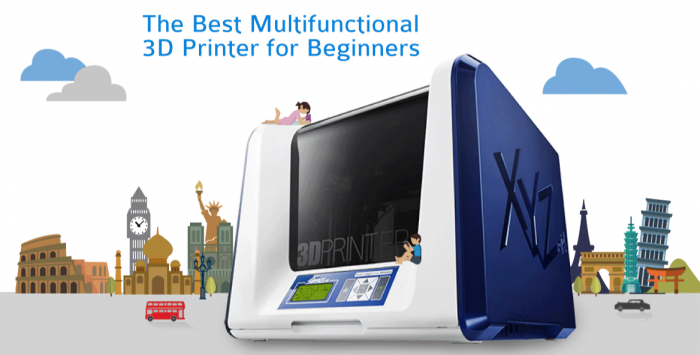 XYZprinting da Vinci Jr. 1.0 3-in-1 (3D Printer/ 3D Scanner/ Laser Engraver - Optional Add-On) Compact and plug-and-play, the DA Vinci Jr. 1.0 3-in-1 offers hassle-free versatility for beginners looking to make the move towards more advanced Methods of prototyping. 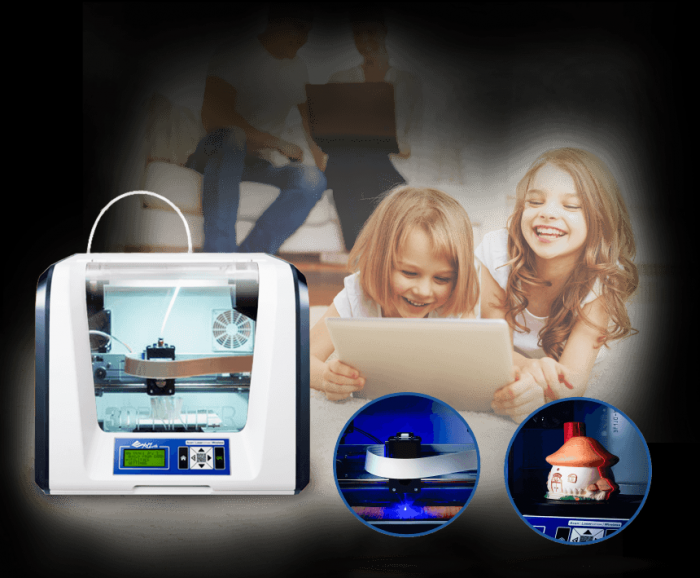 The da Vinci Jr. 1.0 3-in-1's built-in laser scanning module and optional laser engraver Add-On module fulfill the ultimate demand for 3D scanning and 3D printing all in one machine. The da Vinci Jr. 1.0 3in1 offers hassle-free versatility for beginners looking to make the move towards more advanced methods of prototyping. Its two build-in laser scanning modules and optional laser engraver add-on module fulfill the demand for 3D scanning and 3D printing all in one machine. 3D modeling software, XYZMaker, is free to download. 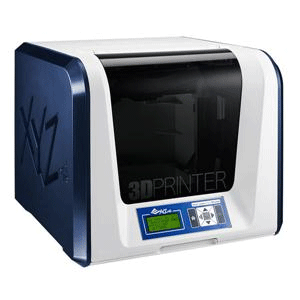 XYZprinting provides 3D scanning, modeling and printing in one -stop service. The da Vinci Jr. 1.0 3in1 uses biodegradeable PLA filament only. XYZprinting’s PLA is extracted from natural materials such as corn, sugarcane, and other sugar-containing crops and passes several requirements to ensure that it is DEHP-Free and Heavy Metal-Free. Users can enjoy 3D printing for themselves and others without worrying about harmful materials. Its enclosed design also provides a safe printing environment for any home, office, classroom, or makerspace. The 0.3mm diameter extruder is an add-on in da Vinci Jr. series, designed for intricate print. The hollow and thin structure can be came out perfectly. It also makes the applications more versatile. The print surface is smooth and spectacular in 50 micons resolution print. Hardware requirements Mac: OSX 10.8 and above (for Mac).